Are you an architecture student? 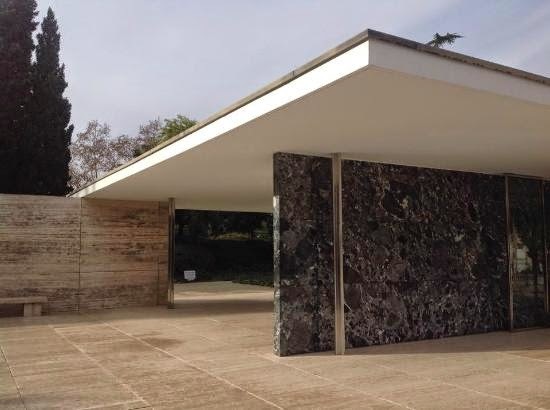 Do you like discovering new architectural stuff while you are visiting a new country or city then Pabellon Mies Van der Rohe is the best place for you to discover in Barcelona city. With its simplicity, transparency and peaceful atmosphere you will feel relaxed and want to visit this authentic museum more than once. For who aren't interested in architecture or art, this area and the pieces in the building may come worthless or pulp but the simplicity and materials inside made this area one of the great achievements in modern art. Besides, its closeness to Montjuic Mountain and Magic fountains like 2 minutes or something on foot makes this place more attractive. Travelling in a country doesn't mean we should only discover the streets, food and drink or traditional dance but also it's necessary to discover places that locals know best and symbols of this city you visit. 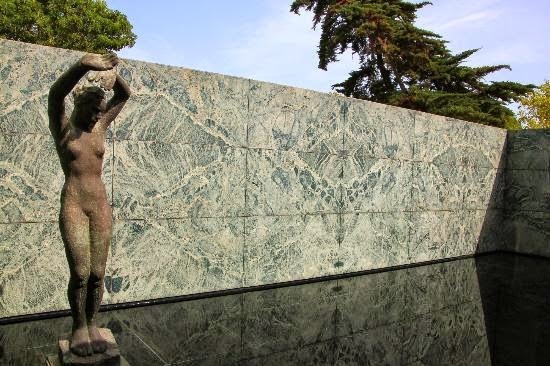 So Pabellon Mies Van der Rohe can be the best place to discover modern art in Barcelona city. The square with water takes you to different planet. You may be inspired by that beauty and many original ideas can come to your mind while visiting this place. You can contribute your travel by adding this place into your list. In Barcelona tourist attractions are unforgettable and ready to make your holiday best. So don't forget to put tick aside Pabellon Mies Van der Rohe as soon as you have visited as you will feel the accomplishment. Discovering a place not many tourists go or bother to check in Barcelona can be enjoyable feeling and don't forget to visit fantastic shop and gardens waiting for you. How to go to Pabellon Mies Van Der Rohe? You can find the exact direction in the map.